Walk away with the Grand Slam. GSV. 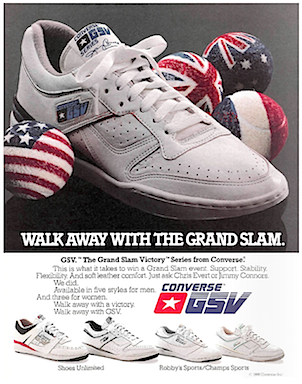 The Grand Slam Victory Series from Converse. This is what it takes to win Grand Slam event. Support, Stability, Flexibility, And soft leather comfort. 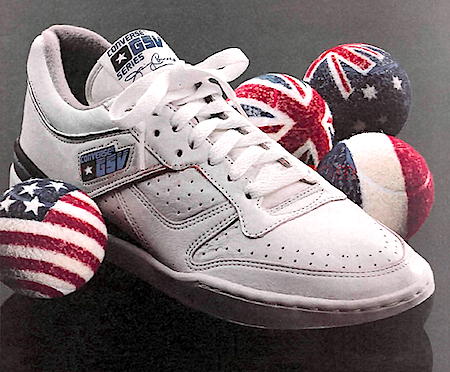 Just ask Chris Evert or Jimmy Connors. We did. Available in five styles for men. And three for women. Walk away with a victory. Walk away with GSV.